Few regions know whole grains better than the Pacific Northwest. In preparation for our upcoming Whole Grains Council conference in Seattle, we spoke with local grain guru, Megan Gordon. Few regions know whole grains better than the Paciﬁc Northwest. With a rich history of wheat growing, the region is home to Bob’s Red Mill, the world renowned Bread Lab, and a number of hip whole grain eateries in cities like Portland and Seattle. In preparation for our upcoming Whole Grains Council conference in Seattle, we spoke with local grain guru, Megan Gordon. Gordon is the author of the beloved 2013 cookbook, Whole Grain Mornings, and the blog, A Sweet Spoonful. Today, she works as the newly-appointed Director of Marketing and Sales at Simply Recipes, and also teaches cooking classes. Though Gordon’s seasonal grain bowl classes continue to sell out, the whole grain landscape has grown tremendously since Whole Grain Mornings was ﬁrst released ﬁve years ago. “I think there’s deﬁnitely more awareness now. I remember soon thereafter seeing farro in Costco and was like whoa what’s happening,” recalls Gordon. Today, grains like farro have reached the adoption phase, and are inching towards proliferation, with 21% of people being familiar with it. Additionally, though it may seem counterintuitive at ﬁrst, the gluten-free hype of the past couple of years has opened more doors for whole grains than it’s closed. “People ask me about millet and sorghum and that just wasn’t happening 5 years ago,” explains Gordon. Gordon’s aﬃnity for whole grains developed in Boulder, Colorado, one of the few cities with a crunchier reputation than Seattle. When college dining hall options weren’t cutting it, Gordon began shopping in bulk bins and making her own lunches and whole grain salads. This is also when she began making the fan-favorite granola recipe, that eventually evolved into Marge Granola, a company Gordon sold in October of last year, approximately 7 years after its founding. In Seattle, as in many big and mid-sized cities across the US, restaurant goers are treated to more and more creative whole grain dishes from a growing number of ingredient-driven chefs. Of course, we couldn’t end our conversation without tapping Gordon for her restaurant recommendations. Gordon admits that Seattle may be “a bit of a bubble,” as whole grain options at restaurants are abound, especially compared with other corners of the country. But hey, we’re not complaining! One of her recommendations was the London Plane, a bright and airy restaurant, bakery, ﬂower shop, and event space. Though menu options shift with the seasons, whole grains are known to make an appearance in one form or another. A recent peek at the menu shows whole grains served with fenugreek vinaigrette, roasted squash, and olives. Another can’t-miss spot for grain bowl enthusiasts is the Fremont restaurant, Eve. This stylish, farm-to-table restaurant has a number of grain bowls, including a “Hot Bowl” with ancient grains, dandelion greens, vegetables, and sesame vinaigrette, and a “Poke Bowl” with brown rice, ahi tuna, cabbage slaw, avocado, and pickled vegetables. Gordon also raved about the rye bread from Sea Wolf, a family owned craft bakery. A foodie at heart, Gordon still shares seasonal whole grain recipes from her home kitchen on her blog. 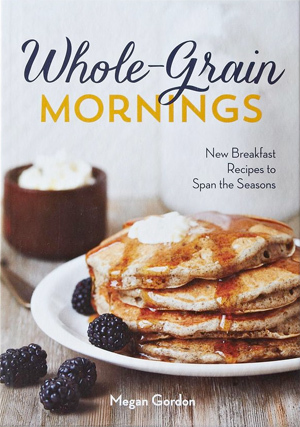 Will a follow up to Whole Grain Mornings make its way to bookstores near you? Perhaps one day! “Healthy doable dinners have become really interesting to me,” the new mother explains. But for now, Gordon is focused on the transition from entrepreneurship to oﬃce life. “I’m still trying to ﬁgure out how to pack my own lunch,” cracked Gordon. 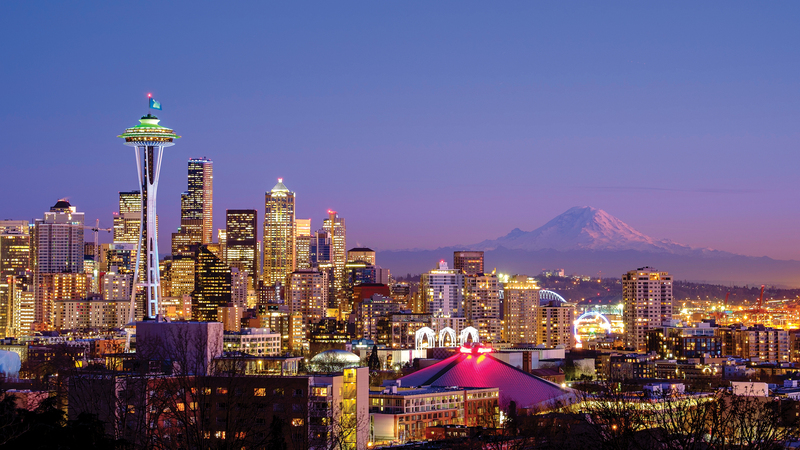 If you want to immerse yourself in whole grain trends, culinary tips, and nutrition research, join us in Seattle for our Oldways Whole Grains Council Conference, November 4-6, 2018! See the full agenda, and ﬁnd out how to register here.